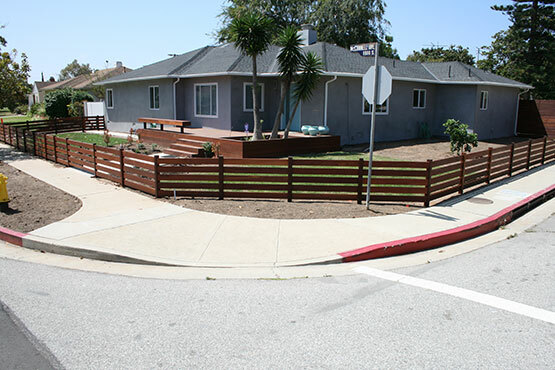 Are you thinking about yard renovation in Los Angeles? Call Danny Deck and let’s design your dream landscape together. 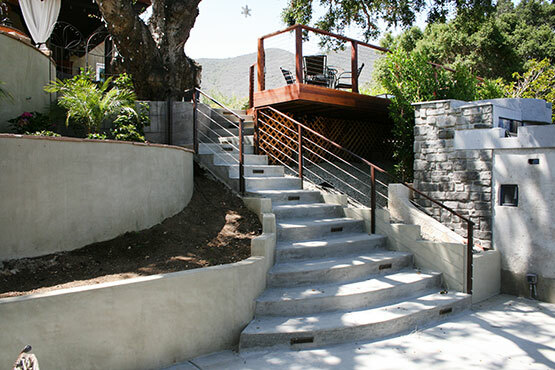 Danny Deck Construction Management can provide you with hillside extensions and deep foundation caisson systems that allow you to add on to your home or build a foundation for new buildings on your hillside property. Starting with your foundation, Danny Deck is a proven industry innovator in yard renovation because we can increase your useable square foot area in your backyard through retaining wall systems, deep foundation caissons, and other shoring means. For your yard renovation in Los Angeles, this means you can gain square footage on your hillside on one level or if it suits your needs more as a terraced multi-level yard. You can keep the childrens play area next to the house and put in terraced garden and patio areas. You’ll not only gain area in your Los Angeles backyard, with Danny Deck, you’ll do it stylishly. For hardscapes in Los Angeles, Danny Deck offers unique designs and will work with you to make your ideas the centerpiece of your backyard. Our masons are the cream of the crop in LA. Our designers will take your backyard ideas and transform them into a complete landscape plan. In the end, your Los Angeles hardscape will be the envy of the neighborhood. Danny Deck is also a leader in green renovations and makes use of recycled masonry materials. The benefit to you is that recycled masonry is less expensive, has a lived in look, and helps the environment. Recycled materials used in different design applications can give the design a classic old world feel. Who would have thought saving the environment could look this good? Danny Deck incorporates masonry planters and walled beds in and around your new patio designs to highlight and accentuate the beauty of the hardscape work subtly. 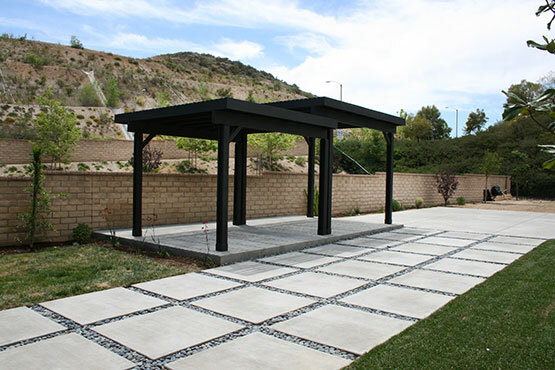 We use top notch material in all our hardscapes and our designs have a very elegant feel to them. By combining patterns and materials for your Los Angeles hardscape and patios, Danny Deck will deliver finished hardscapes that surpass your initial dreams. For Landscape design in Los Angeles, Danny Deck delivers complete designs that will look great from spring through the fall season. We balance plantings so that there is always something coming into bloom. Equally important is the aroma of newly opened flowers changing morning to evening, and month to month. When you hire Danny Deck for yard renovation, you will be delighted and discover something new all time in your own backyard. 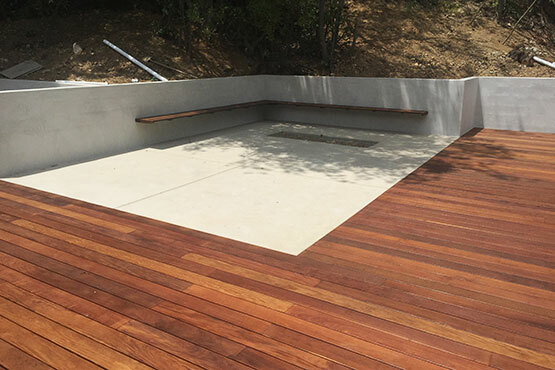 For your hardscapes in Los Angeles, look no further than Danny Deck for your retaining walls, patios, beds, and decorative pools. We provide designs you’ll be happy with decades from now. Call Danny Deck.